Bitcoin Gold – Everything you need to Know! 3 Why was Bitcoin Gold created? 8.1 See also : District0x Review : Why to Invest or not ? Bitcoin Gold or BTG is a new cryptocurrency that has formed as a result of spliting from bitcoin blockchain on October 25, 2017. Bitcoin Gold miners will create blocks with a new proof-of-work algorithm that is Equihash instead of SHA256 thus making all the specialized SHA256 mining equipment obsolete for mining the Bitcoin Gold blockchain. This will be a distinct block-chain with the same transaction history as Bitcoin up until the fork but after then it will diverge. The original Bitcoin blockchain will continue on unaltered as such. A snapshot of current BTC owners was taken during the fork so as to assign them a 1:1 ratio of the newly minted coin. If you have a BTC at the time of split you will get an equivalent BTG. e.g. 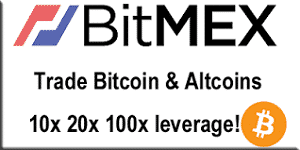 for 1 BTC you will get a free 1 BTG. Why was Bitcoin Gold created? Simple answer to this question is that Bitcoin mining had become centralised and as such was not good for a decentralised cryptocurrency. The idea of bitcoin gold stems from bitcoin’s key value proposition that is decentralization. Mining somehow has become centralised where china owns maximum bitcoin hashing power. Only one Chinese company bitmain produces most profitable mining hardware. Bitcoin hardwares are expensive and only big companies can afford such expensive ASICs. As a result of this the miners as a group have too much influence over the direction of the bitcoin network. To lessen their control, bitcoin gold replaces bitcoin’s current mining algorithm with Equihash. So that cheaper graphics processing units (GPUs) are able to mine it. The new algorithm will enable countless new people around the world to participate in the mining operations with widely available consumer hardware. This decentralized, democratic mining infrastructure will be more resilient and more in line with Satoshi’s original vision. If you own any GPU the you should start mining bitcoin gold. Total number of coin supply is same for all bitcoin forks mentioned. All bitcoin child chains will have fixed 21 million coins. Bitcoin Gold will use different mining algorithm which is equihash and mining difficulty will be adjusted every block. Bitcoin cash which was one of the earlier fork of the bitcoin has increased the blocksize to 8 MB. In future we will see another fork in bitcoin blockchain, segwit 2x which will increase blocksize to 2 MB. Bitcoin gold and bitcoin cash will provide replay protection. The first round of block rewards will be used to pay the bitcoin gold development team. According to a group of representatives, November 1st is the official date when BTG will become available for mining. As Bitcoin Gold is a community-driven, open source hard fork of Bitcoin. All source code will be available on GitHub repository for review by anyone. Check here to know complete mining procedure.If you have an Nvidia GPU then you can start mining BTG on pool from 1 November 2017. BTG will use equihash algo which is optimized for Nvidia cards.ASICs can’t mine Bgold. 1. The main cause of distrust is that the BTG development team will premine BTG up to 16000 Blocks, so it can be a premine scam run by the company as we see in many other altcoins. As per report 100,000 BTG will be premined by the development team which will be used for further development of the project. 2. While a list of roughly 50 businesses and miners support the so-called Segwit2x fork, no such similar support has been seen for bitcoin gold. 3. Even the bitcoin cash began with a support from vocal miners and exchanges, bitcoin gold has arguably yet to benefit from such early activity. 4. Bitcoin gold hasn’t quite solved the risk of “replay attack” – which refers to transaction complications that may arise when two incompatible versions of the bitcoin blockchain are unable to distinguish each other. 5. The compnay which is responsible for bitcoin gold also makes gpu mining rigs. If BTG becomes popular then eventually an increased demand of GPU mining rigs will result in more profit for the company. 6. Trezor which makes hardware bitcoin wallet is not supporting BTG currently. 7. Poloneix one of the major crypto exchange is not supporting bitcoin gold untill they review the code. They did same for Bitcoin Cash but they opened BCC trading when Bcash price exploded. 8. Relay protection is not implemented yet by the development team. As of 26 October 2017 bitcoin gold is trading on very few exchanges. We are yet to see bittex,poloneix to enable BTG trading. 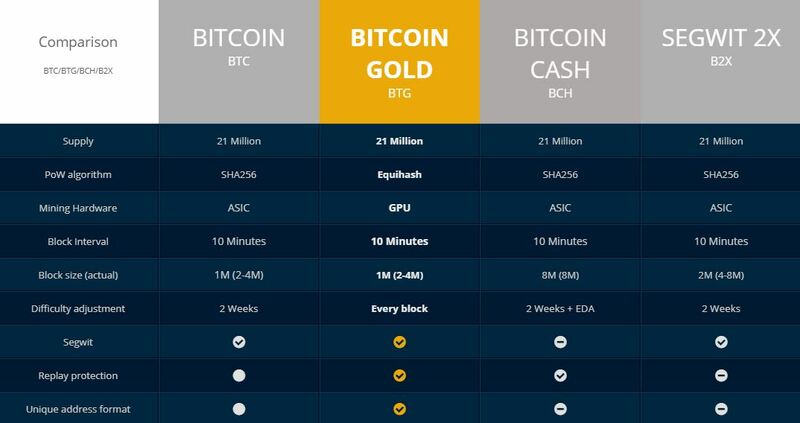 Technology wise Bitcoin Gold is superior to Bitcoin and Bitcion Cash. Problem right now is that the code has not been released by developers yet on gitthub. Yesterday developers gave an update that all codes will be ready by 31st October 2017. Lets see if they can fulfill their promises or not. See also : District0x Review : Why to Invest or not ? Bitcoin Gold is following the same path as Bitcoin Cash did. Few community support in earlier stages with a gradual increase overtime. We all know Bitcoin Cash price skyrocketed when the first block was mined. Currently the price of BTG is not yet stabalized it is fluctuating between $100 to $150.I have invested $100 in BTG and i would recommend you to invest up to 5% of your crypto portfolio in BTG. We have to wait till 1st November 2017 when the first btg block will be mined and most exchanges enable trading for it. If the community reacts postively as we had seen in previous bitcoin fork, bitcoin cash it will be an easy 5X of your investment.I Hope Bitcoin Gold price follows the same price pattern as Bitcoin Cash did. In bitfinex currently Bitcoin Gold is trading around for 0.02 BTC. I will sell half of my holding if it reaches to 0.1 BTC and the other half when it reaches to 0.2 BTC. If price fails to reach those levels then I would be holding it for some more time. Note : I am not a crypto analyst or an investment advisor. So invest only that much amount that you can afford to lose. Before leaving, if you liked our article about bitcoin gold then please give it a share using the social media buttons below.